Hey kids! Looking for an early taste of the new Touchwiz? Well you're in luck! A leaked Galaxy S III ROM is out in all it's bandwidth crushing glory! A whopping 800MB download awaits those eager to get their hands on Samsung's latest. 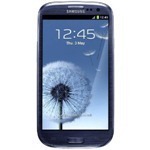 The Galaxy S III and its new version of Touchwiz will make about a million additions to Android. Somewhere in this download are things like S-Voice (a Siri-style virtual assistant), Pop-up Play (a floating video window), and Smart Stay (which uses the front facing camera to refresh the screen timeout), just to name a few. Developers (and eager bloggers) should start ripping into it immediately. I just so happen to have S-Voice up and running on my Galaxy Nexus, I'll have a full hands-on article posted shortly. Stay tuned!